Amibroker, Intraday buy sell, Best trading software, Stock trading software, Stock analysis software, Mcx tips software, Nse software, amibroker software for indian market, amibroker download, amibroker software price, commodity trading, share market software, learn stock market, stock market analysis, technical analysis, algo trading software, indian stock market, stock market technical analysis, stock charts technical analysis, best technical analysis software, amibroker automated trading software, amibroker technical analysis software, stock market analysis software, trading software india, stock charting software, technical analysis software india, best technical analysis software india, trading signal software, robo trading software, stock market software india, trading analysis software, trading chart software, amibroker software download, nifty trading software, best software for intraday trading, stock market automated trading software, technical analysis trading software, amibroker auto trading, nifty technical analysis software, indian stock market technical analysis tutorial, amibroker software india, amibroker auto buy sell signal. AmiBroker Auto Buy Sell Signal Software for Nse Nifty F&O, Mcx Commodity, Ncdex Etc. (Equity, Future, Option, Commodity & Currency). Our Signal are 100% Non Repainting & 80% Actual Accuracy. Signals are for Intraday, Swing, BTST & Positional Trading. Robot Algo 100% Auto Trading Software for NSE Cash F&O MCX. All Odin & Nest Supported. > MT4 MetaTrader Auto Buy Sell Signal Software for Nse Mcx Ncdex Currency etc. 1. Automatic Buy, Sell & Exit Signal Alerts for All scripts. no need to open / watch all the charts. 2. Clear Buy, Sell Signals With Target & Trailing Stoploss. with Intraday & 2 days trend filter option. 3. Range Bound and Trending Market filter available in Bottom of Chart. 5. No need of any prior Technical, Fundamental knowledge (just follow Eagle Trading Signal). 6. Auto Scan & Exploration function for all Scripts with Buy Sell Sound & Text Alert. 7. Guaranteed 100% Non Repainting Automatic Buy Sell Signals Software- It will never Repaint.. 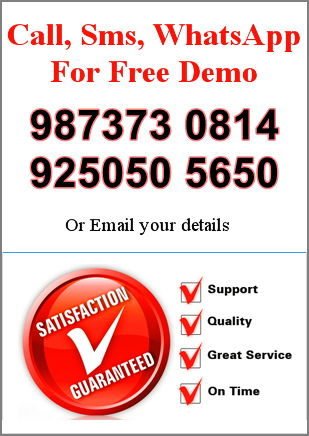 Reliable Service, Personalized Support, Highly experienced person for technical support. our prices are fair for the service we deliver. Anyone can become professional trader, and earn good Profit from trading market.Daily only 1-2 Signal in intraday for each scrip with Trailing Stop Loss. it will not confuse you like others.Every investor should be aware that you must invest money to make money. we will provide you services at very best price. 1. Always use strict stop loss and never over trade, exit immediately when your stop loss triggered. 2. Never let profit turn into a loss. Use trailing stops to protect and lock your profits. 3. Just because you're a day trader doesn't mean you have to trade every day. Wait for good opportunities. 4. Never get into the market because you are anxious from waiting, and never get out of the market just because you have lost your patience. 5. Do not guess where the top and bottom of the market is, but let the market signal its top and bottom. 6. Never average a losing trade, also avoid taking small profits and big losses. 7. Only trade with genuine risk capital, and be aware of the risk of losing. 8. Never let greed or fear take control over your winning positions. 9. Avoid Tips & Rumours. This is spread by people with self interests. 10. Divide your capital into few equal parts (preferably 10), never risk more than one part of your capital on any one trade & please don't break any rule. 1. Letting small losses turn into large losses. 2. Not cutting losses and not letting profits run. 3. Fighting the trend - shorting bulls and buying bears. 4. Trading for excitement & thrill and trading with a high ego. 5. Trading with money that can't afford to loose & being too emotional about money. 6. Not sticking to plans & changing strategies. 7. No trading plan and lack of record keeping.